I posted bits and pieces of this guide in other areas, figured I would put it all together for anyone to read and offer insight. The purpose of this subject is sorting out HD Video choices for Retro and Modern Consoles, Especially in trying to solve light gun capability on HD TV's. Mini Guides and other Guide Links, scroll to the bottom of this Post. Some points to consider for the Retro Gamer. I'll try to tackle these through this post. N64, PS1, Dreamcast, Gamecube, PS2, PS3 and Wii. 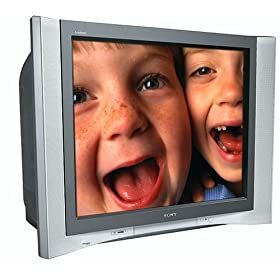 The Sony Wega KV-32HS500 is one of the few SQUARE 4:3 120hz CRT HD that were sold before Widescreen/LCD dominated the market. Supports 480i, 480p, 720i, 720p, 960i and 1080i. 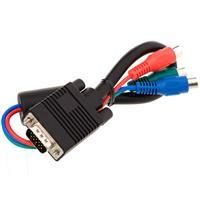 It is DVI no big deal using DVI to HDMI conversion cable for DVD and cable TV. Has 2 component inputs which I use for PS2 and for Gamecube. I love CRT 4:3 especially for old school games which mostly don't support the wide screen format. The CRT at 480p displays a very sharp image. Vizio LCD VW32L HDTV40a is a widescreen like just about all LCD's. When running older PS2 with component cables at 480p the LCD tends to show pixels kinda like dots shown on a blown up comic book pic. The Dot Crawl is worse when you fill 4:3 image to widescreen. Newer consoles such as PS3 utilizing HDMI is where LCD really shines. Tested the game World at War 2 which came out with crystal clear graphics. I would say in game screen quality are up there as a Blue-Ray movie. Does support VGA input with resolutions up to 1336 x 768. The Sony 4:3 HD CRT looks great with composite, better color separation with S-video and really comes out crystal clear with Component Cables. Just picked up PS2 Gran Turismo and Tourist Trophy. Both look great at 480p. Setting game option to 1080i mode switches to wide Screen (even with 4:3 setting) with black bars top and bottom. However does have a very sharp and clean anti-aliasing pic. I have found that there is less color bleeding when using SVideo instead of Composite on a CRT. Test machines include older retro consoles N64, PS1, Dreamcast, and Gamecube on both Composite and SVideo. Also tested PS2 which improved from Composite to SVideo and finally the best getting 480p with Component. Even my low resolution Gameboy Advance games display nicely with the Gamecube Gameboy player on the big screen using SVideo and even better going thru component. You can see every blocky pixel clearly instead of a composite color saturated fuzzy image. My advice may not have much fire as one that prefers a 4:3 HD CRT 1080i set to 480p to maintain the 4:3 full screen. The 4k makes a difference for really large screens. 1080p should be fine for screens under 40", unless one views from a few inches away. This the sales pitch in the store, customers tend to stand right at a wall of display sets and get hooked to 4k. Has anyone compared a same sized 1080p vs 4k for a composite signal? What about DVDs 480p or Blurays 1080p; upscale issue on 4k? I imagine the 4k even though newer upscaler built in will be worse then the older HD LED 1080p for retro consoles. 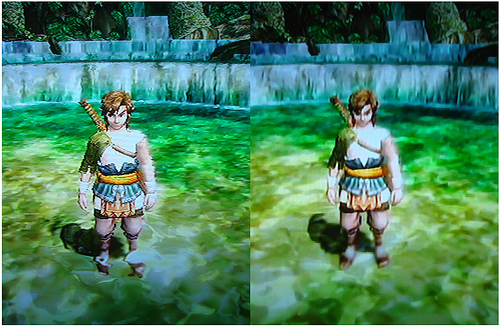 Here's a comparison of Zelda with Component on the left, Composite on the right. Details details its all in the details. The picture scaling problem shown is extreme, but it shows how bad "Dot Crawl" from scaling can get. As in a composite bleed over, imagine the pixels jumping around as a lower resolution image is in motion on a higher resolution screen. Videos downscale well, but they don’t upscale with clarity. So what does this mean? Simply put, a larger video signal with more information will look good on larger screens and anything smaller. Conversely, a smaller image will only look good on a smaller screen. It doesn’t have enough information to upscale properly. Note the difference below in image quality based upon the number of pixels represented on screens with different Native Resolution sizes below. This is a SD signal and it does not upscale well to HD. Niode wrote: CRT doesn't have a native resolution so you don't get the same issue you get with LCDs. CRTs just display the content in the resolution it was intended to be viewed in. No up scaling required. 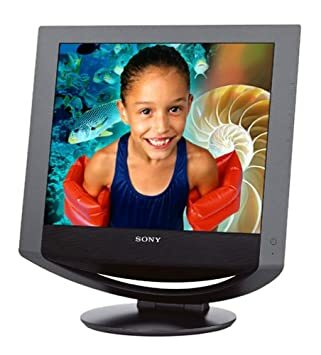 While CRT monitors can usually display images at various resolutions, an LCD monitor has to rely on interpolation (scaling of the image), which causes a loss of image quality. www.practical-home-theater-guide.com wrote: In contrast to LCD displays, plasma televisions and CRT TVs have a virtually instantaneous response time that is at least a thousand times faster than that of the fastest LCDs. This is mainly limited by the speed of their video processing engine rather than by the time it takes to fire the display phosphor; this is in the order of nano-seconds as against the milliseconds required for the liquid crystals to change state in LCD panels. In this respect, LCD panels still have a long way to go. Yet, there is a further technical difference between the two technologies that renders plasma superior when it comes to pixel response time. Control of pixel intensity in a plasma display does not rely on the same drive process used in an LCD panel. In an LCD display, a minor adjustment in pixel intensity level is brought about by altering the drive signal in very small steps to adjust the twisting action of the liquid crystals, and which in turn controls the amount of light reaching the surface. I chose HDCRT over a regular CRT. However, some prefer a regular CRT to obtain scanlines. I found the HDCRT offers a clean picture even for the retro consoles, sharpening all the detail. Atari 2600, 5200 and 7800. VGA on Dreamcast if your TV supports it. GAMECUBE, PS2, XBOX and Wii. Widescreen 16:9 vs Square 4:3 is a personal choice. Keep in mind Retro consoles only have 4:3 mode. Playing Street Fighter say on a PS1 will give overweight fighters on the widescreen. By the same token, anamorphic widescreen movies on a stretched 4:3 causes a buncha skinny actors. God of War 2 is phenomenal; dare I say almost PS3 quality graphics when kicked up to Progressive Scan (Hold L1-L2-L3-Square-Circle during game load. If you get a purple initial text screen then it is high res mode. Choose progressive and prepare to be amazed. ) The only two PS2 games I know of that support 1080i are Gran Turismo 4 and Tourist Trophy, gonna have to snag them from gamestop. 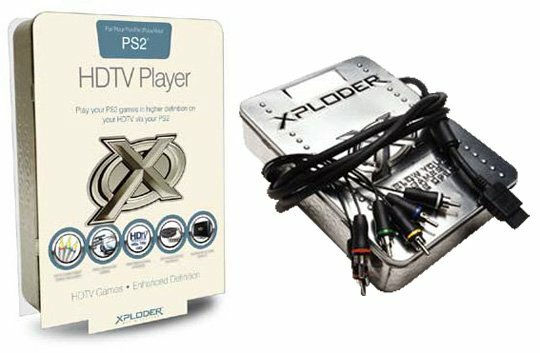 HD PS2 list, use with a Component Cable connection. Couple of games you have to hold Square Circle while load. Most use the Triangle and the X button during load. There is also the PS2 Xploder, on my TV I did get a bordered image at 1080i setting. Unfortunately my CRT HD has no Zoom to compensate. Any resolution above 480p also results in a reduced off center image. Maybe useful if your HD has good controls for zoom and stretch like a computer monitor. On the plus side I did get a full screen image at 480p out of 480i only games. By tapping Square repeatedly, users are able to cycle through the various output resolutions, which include 480i, 480p, 576p, 720p, and 1080i. PAL and NTSC switching is also possible. Unfortunately HDAdvance/HDLoader installed games won't work. Pretty much any Non-HD tube TV will work with a lightgun. Brightness, Contrast and Sharpness adjustment help to pickup the Lightgun sigmals. Its when you get into LCDs and HD CRTs you run into problems. Flat Screen terminology can be misleading when it comes to Light Gun compatibility. A Crt can be a flat screen and still support a Light Gun, but only if a standard definition tube. The Sony Wega HD CRT is very heavy compared to even a regular CRT of the same size, 200 you gotta be kidding pounds! This Sony HD version is 120hz so older light guns won't work. 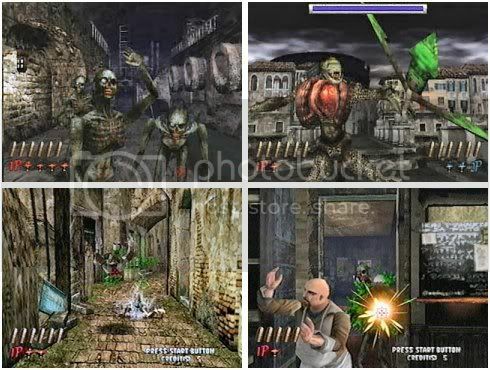 There is no VGA connection, no House of the Dead on Dreamcast. When using a light gun with composite and also S-video the gun does flash the screen but the gun sight on the screen tends to wander due to looking for 50-60hz signal. I'm thinking about a VGA to Component transcoder but due to cost and unsure of it working have held off. I do know a direct VGA to Component cable only results in a purple off center screen. Even tried switching the red-blue-green Y-Pb-Pr cables around. The Dreamcast with a direct VGA adapter such as the one sold on Racketboy; the regular lightgun will work if the VGA computer monitor is a CRT. The Dreamcast VGA adapter grounds out a couple of pins on video internally, telling Dreamcast to switch to 640 x 480 VGA mode. Additional resolution in graphics kind of like what Bleemcast does with PS1 Metal Gear. If you have a HD CRT with direct VGA input along with the Dreamcast VGA box the light gun might work. It all depends on the scan rate of your view screen. The only Sega controller that is region locked out on U.S. models. 3rd party models work fine. Throw in the force pack for light up lightgun vibration recoil! Turn off Auto Fire before plugging in. Counter-intuitively, Silent Scope does not support light guns. Hyundai CRT V773: Light gun works great, smooth tracking at 640x480 resolution. Compaq CRT FS7600: Light again works flawlessly, smooth tracking again at 640x480 resolution. Sony LCD SDM-HX73: As expected Lightgun will not work on LCD. 640x480 is a lower resolution not supported by a lot of current HDTVs. Best to bring your Dreamcast and VGA adaptor and test at the store to be absolutely sure. The ideal HD will also have S-Video, another getting to be uncommon input. 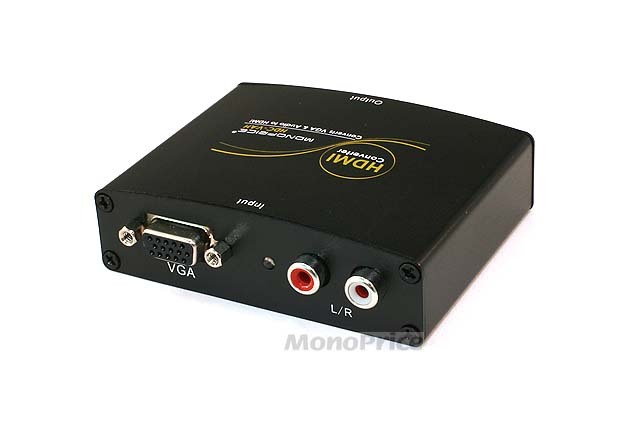 Definitely make sure you get a VGA Box over just the cable, for that S-Video/Composite option. Not all Dreamcast games are VGA compatible. 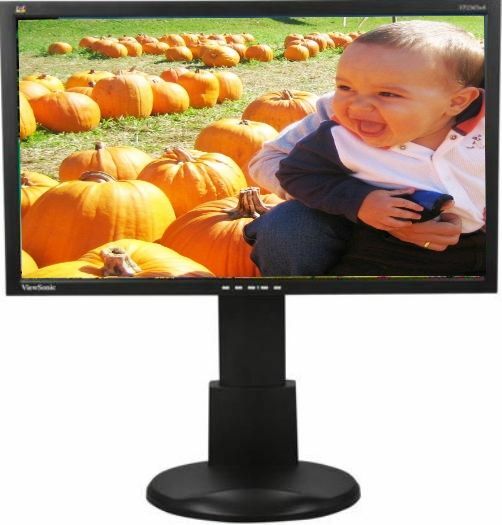 LCD monitors tend to be brighter and sharper for computer use. Unlike the LCD, a CRT will also support older screen resolutions. I have found this a benefit for Dreamcast 640x480 resolution and older operating systems such as OS9 256 color. A lot of newer LCDs do not have older video modes, a good idea to test before purchase. Elusive CRT monitors and even regular tube TVs are really getting hard to find. 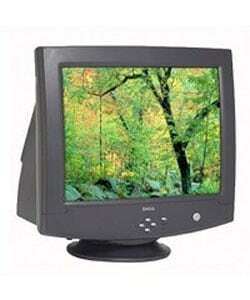 The cathode tube TV is not sold new any more. Get them at Thrift Stores, Craigs List or Swap Meets while you can, CRTs getting as rare as that contest winner game cart. Another reason for the CRT. 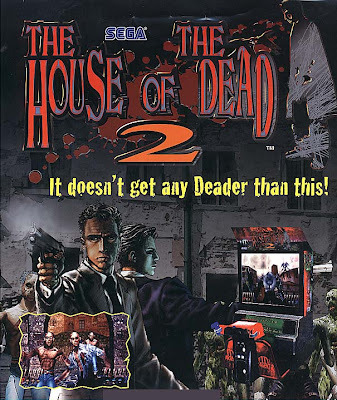 VGA Dreamcast House of the Dead 2 with Lightguns. Here is a chart of different Video resolutions. Dreamcast is 640x480 VGA. Some Monitors and HDTVS with VGA input not support that lower resolution. PS2 Guncon 2 with yellow T-Video adapter and USB connection. Depending on CRT TV may work. If using Component cables plug yellow T-Video adapter in green cable Y connection. The Guncon utilizes feed out video out of Playstation Console. When on the Calibration screen, first fire at screen to enable the gun. Point the Guncon 2 away from the screen. Press Trigger and the SELECT button. It's on the Left hand side of the gun, nearest the muzzle. This will put the calibration into Progressive scan mode and a little message will appear on screen to confirm this. There is also a 2 point adjustment for Guncon 2 only. Aim away from screen Press trigger and C button at the bottom of the gun. It's then possible to calibrate as normal. It has been posted on the Internet that on a Sony KX32FQ70U TV it works perfectly. 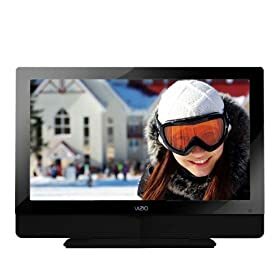 On a search of model numbers on the Internet closet match is a V not X, KV-32FQ70U which is a wide screen but not a HD TV. The Guncon 2 supports regular Non-HD CRT TVs. It also has a 480p mode which requires a CRT Enhanced (EDTV) Definition TV. I have not found a HD CRT or LCD that works with the screen sensor Lightguns. A second note is that the USB Guncon 2 has no vibration function nor LED's. The blue controller port Namco Guncon does have vibration and LED's. The gun kicking back at you really adds to gaming experience. This does not work on the Sony HD CRT KV-32HS500 utilizing both Composite and Component with green y connection. During the calibration up and down seems to work but the sight jumps around left and right. This looks to be the problem with the HD scan line going at a higher hertz rate. PS2 and Dreamcast lightguns ended with the same results in both Composite and S-Video modes. If there were a game that only required moving sight up and down then the guncon would work. I also tried the PS1 grey Sony AV Adaptor #SCPH-1160. Though it states to work only on the PS1 model #SCPH-5501 the AV adaptor works fine with PS2 and add on Component cables. However with the 120hz CRT TV same results of Guncon 2 Lightgun tracking problem. Basically same tracking issue as in hooking Lightgun video cable up to green y Component lead. 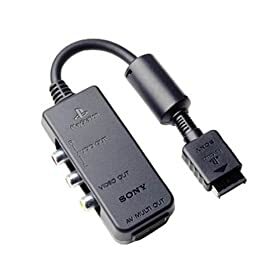 There is a black PS2 version Sony AV Adaptor #SCPH-10130U that appears to have identical connections. 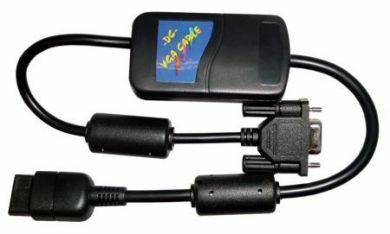 CRTGAMER wrote: The AV adaptor is unique in allowing a simultaneous Component and Composite Connection for the PS2 and PS3. wip3outguy7 made these great youtube videos on the Guncon. Lot of insight on all the features, functions of the various buttons. 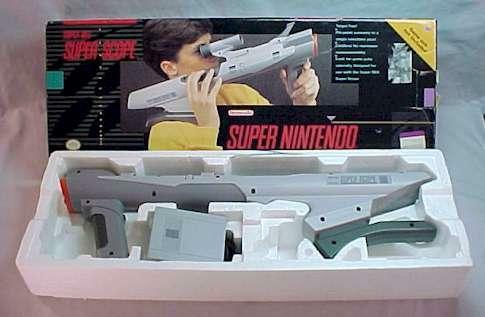 Wireless lightguns that use an infrared sensor such as the SNES Superscope still require a non-HD CRT. The wireless sensor is simply replacing the cable of the lightgun. The Lightgun can't read the lens reflection from the internal projector. A blown up image from the projector. Result is lightguns work on Non-HD CRT only. EDTV CRT is a maybe. I found another possible work around for the Lightgun HD problem. Not a great fix but yet another approach. Instead of trying to get the Lightgun to work another idea is a Tilt Motion Sensor. Split Fish made a tilt sensor for the PS2. Possibly attaching to Lightgun then tilting Lightgun to move gunsight. In testing this with Vampire Nights the Left and Right are backwards. Flipping the motion sensor upside down makes the up and down tilt backwards. Internal mod of switch location would fix that. However as long as gun is tilted the sight will keep moving in that direction. With rapid onslaught of enemies you are constantly moving the sight so depending on the game this works though it is awkward. There are new light guns that will work on any HD TV including LCD. The lightguns use a LED sensor bar like the Wii. Unfortunately only for Xbox and Playstation; no Dreamcast. Guncon 3 with sensors attached to weighted belts, designed to lay over the top corners of HD. The end weights counter balance the sensors. The Wii has lightgun type of games such as Zelda Crossbow Trainer that use the Wii controllers like a lightgun. The Wii sensor bar is just some LED lights that the controller reads and calculating direction. The sensor bar method is a direct read to the lightgun or Wii controller not the TV screen. You can actually mount the Sensor (LED) Bar on the wall and even use a video projector. HD and LCD's pretty much killed the light gun. The Wii with the Motion Sensors at least light gun game play can still be alive, or House of the Dead. 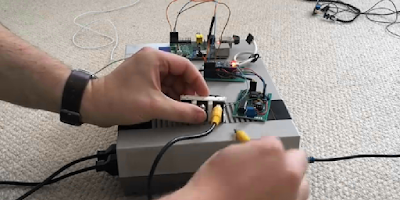 Tinkerer and YouTuber Chipos81 has recently posted a video detailing his prototype device that affords him the luxury of playing retro light gun games on modern televisions. The device utilities a Wii controller and sensor bar. Option 1. Gut Wiimote PCB, mount in a flat case bonded to the retro lightgun. Wiimote Sensor pointed to the front with new sensor fitted in barrel. Option 2. Mount Wii PCB inside gun, light bar sensor removed from PCB to front of gun. Retro lens and new sensor can be fitted anywhere inside the gun. 3 volts (2 AA batteries) needed to power the Wiimote. A transformer inside the gun for stepping the voltage down or up. This has been tested on a Sony CRT 34XBR960 and did not work for light guns. Maybe other HD CRT TVs might work? Dreamcast VGA box to VGA Component Transcoder (expensive) to Component input on HD CRT TV. Video signal all stays at analog. Direct cables do not work, transcoder is needed to convert the signal. These direct cables are only for TV out ready PC video cards. Keep in mind when converting the video signal through a transcoder, a reduced non centered image may result. Adjustment of transcoder box and HDTV zoom features may be able to compensate. Also when stretching a native 4:3 image to the standard 16:9 widescreen monitor or HD may result in distortion of the image. Niode wrote: SCART and VGA whilst both being analogue RGB signals aren't compatible with each other for the simple reason that the clocks don't match. You'll need a upscanner/converter to convert that signal to VGA. You can get them pretty cheap but don't expect the quality to improve (in fact it will probably look worse). 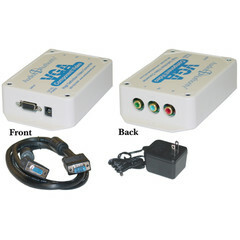 Upscalers to go from your console to a VGA monitor. Read this review from one owner. Older Arcade Jamma machines did use raster scan lines on games such as Galaxian due to limitations of non-HD CRT monitor. It actually produced a better image by seeming to have more pixels. 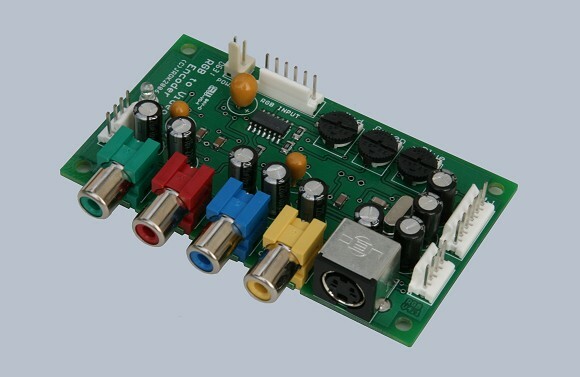 The Jamma connector are a type of RGB using Video green, Video red, Video sync and Video blue spitting up the video signal offering a cleaner image. Arcade cabinets which have CRT's sometimes went out of focus after many years of use. The out of focus images tended to smooth out the pixels from a monitor screen of only were 256 x 224 resolution. Personally I'll take the rough with all the blocky pixels showing sharp imagery over a blurry pic any day. Early arcade machines were raster scan CRT's drawing screen row by row. Vector Graphics arcade machines like Asteroids relied on point by point line draws offering higher resolution and faster screen response time. The very first Pong game used RF on a TV for a game screen at Andy Capps. A sign that Video games were here to stay was that the machine jammed from an over-filled coin box. I first was exposed to video Arcades when that first interactive CRT appeared. 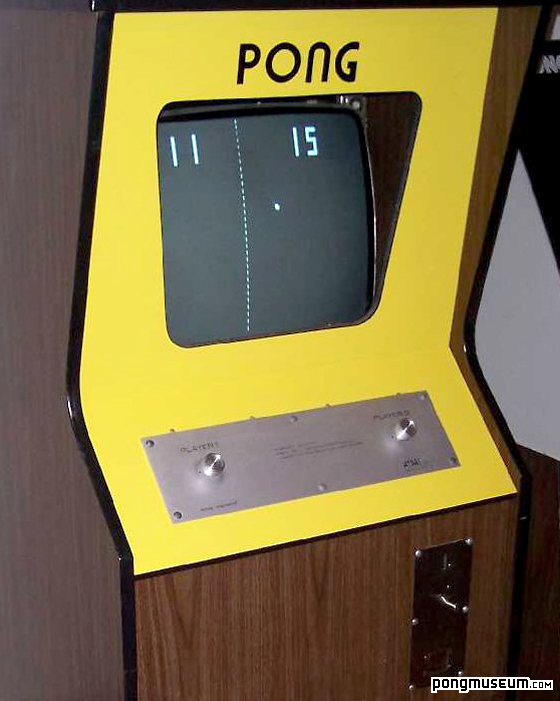 Seen Pong and Spacewars when they first come out at the local bowling alley. Both unique but it was that huge Spacewars cab that blew me away. The idea of programming your game with gravity and ship speed at the start of the game. Geeze couldn't do that with the pinball game. couple years later, when the color Arcades, especially Williams literally quarter snatchers arrived, I was truly in gaming heaven. Defender and Robotron made me react and also think on the fly. Woa, those Stargate controls! To change direction having to hit that reverse button, all while the swarmers closing in! The movie Last Star Fighter touched on this, the wow factor of an Arcade discovered, so true of Arcades gone by. With all the exposure to home gaming now, its not quite the same surprise to see the next newest game. In fact I think the only thing keeping a struggling arcade alive is being located in the mall. A shame, seems to be a ghost town in there. I can also somewhat relate to what a newer younger gamer may think of the 8-bit consoles. The NES and Master consoles were skipped over by me when I got into the Commodore Vic-20 and C-64. Because of my allegiance to Atari I did get a 5200 spent a lot of time on Defender, and Centipede. Defender a reminiscent of Arcade exposure right in my room. But a lot of gaming was spent on the Commodore. Just recently I have acquired a NES due to buying R.O.B. a couple months prior. Threw in Super Mario and since I have played this with emulation with a better pic, it just didn't draw me in with the blurry composite connection. So in addition to current Gen graphics and HD exposure, maybe also emulation damaging the Golden Game Age? Another thought, the Atari 5200 brought my favorite Arcades home with Defender, Robotron and Centipede at near perfect renditions. A few years later I got hooked on Space Harrier, but was let down by the home editions until Mame and eventually PS2 versions came along. The Arcade now looking like a guarantee exact copy to be available in your home console. Now Arcades have a hard go trying to compete with current gens, no more wow factor. I think the over saturation of gaming today kinda kills that same wow factor at home too. So will we hit a slump like the Atari 2600 crash of yesteryear? 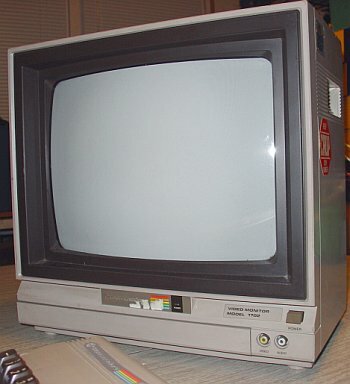 The Commodore 64 SVideo connection are separate chroma and luma RCA video cables on the back of 1702/1902 monitors. We are talking about an old 6502 chip - clock speed of about 1 MHz and screen pixel 320×200 or 160×200 if in multi color. Even in that low a resolution anytime you can split the video signals the end result is better quality video. The rear connections were only for Commodore Computers. Older Commodore computers have a five Din connector. Most have an eight pin din including the 128ds, the newest and last of the "C64" line. 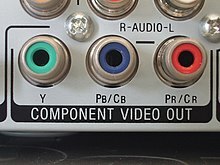 Two video inputs for Chroma and Luma signals and one audio for the mono connector. 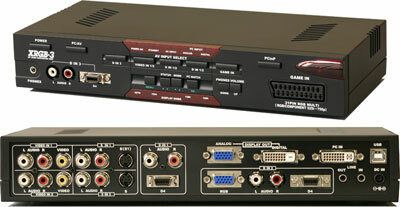 Front inputs are for regular composite video and mono audio. Those rear Commodore SVideo Chroma-Luma RCAs are so much more robust then the crappy industry standard SVideo plug. By the way using a second smaller monitor such as the C64 monitor is great for all those Link games with two game consoles needing two separate screens. Composite for the front or a custom SVideo cable for the rear. SVideo to two RCAs for Chroma-Luma of a Commodore 1701-1702 monitor. You can also go the other way and use a regular SVideo input TV. Make your own custom C64 to SVideo cable. Don't forget a separate audio cable. A Commodore 1541 drive singing daisy, crank up the volume. List of PSX link games, Assault Rigs! Finally purchased a Nintendo brand Gamecube Component cable which brought games up to 480p. 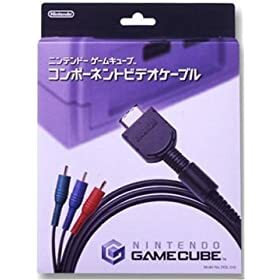 Is the Gamecube component cable worth the money? If you want the best than yes! Overall very sharp image, and at 480p you can see every level of detail the game programmer put in. You can also mod that expensive Gamecube cable to work on a VGA monitor. 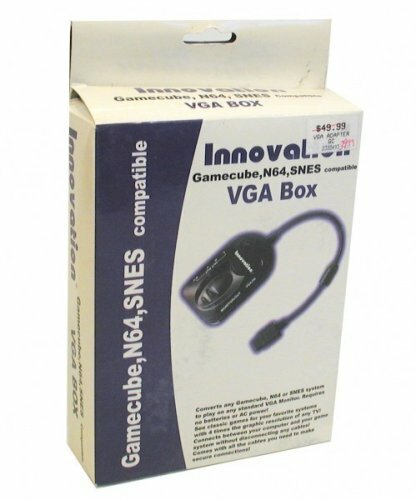 A cheaper VGA option for the Gamecube is the Innovation VGA Box. VGA conversion comes from the SVideo pins in the Nintendo console Analog port. Note, not the Digital port, so any model Gamecube will work. Unfortunately no 480p conversion, but the image does fill your computer monitor screen. A slightly dim 640x480 image, actually not bad for a SVideo source. SNES and N64 has the same video port so these consoles are also compatible with the VGA Box. There are universal VGA adaptors that accept SVideo cables, but this is easiest the most robust, with the direct SNES video cable connection. Keep in mind some LCD HD or LCD computer monitors may not support 640x480. An adequate pic to take a gaming break from the computer. Easiest the best economical way to pull the highest SNES and N64 signal available to the computer monitor. 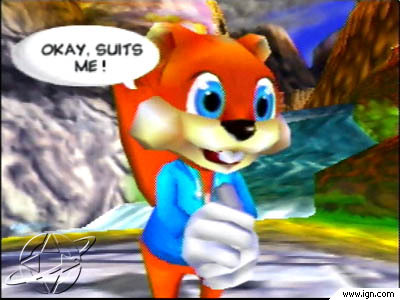 Now you can play that drunken Conker squirrel on your monitor! Spare VGA and Audio cables are included in the box. A second VGA and audio source can to be plugged in. 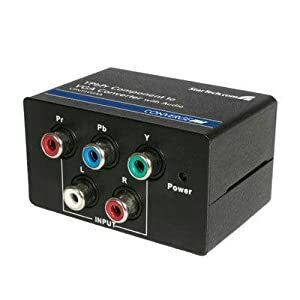 This works great as a select switch box for adding a Dreamcast and its own separate VGA/Audio Box. Both consoles share the same monitor and speakers. The Dreamcast signal is unaffected by the Innovation box, just a VGA pass thru of the Dreamcast own VGA conversion box. The SOURCE Button does not work, only changes the LED lights. I think its supposed to be part of an auto sensor function, perhaps as in a laptop hookup of a higher resolution. A workaround is sliding the ON-OFF button to change between the two VGA/Audio signals. There is also a separate SVideo/Composite/Audio SNES-N64-GC output port for hooking up to a regular TV. If your HD TV doesn't have enough inputs simply run extra Video switch boxes. 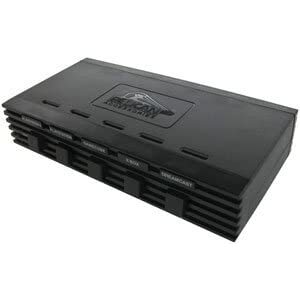 Another System Video Selector box by Pelican, matches the Fat PS2. Just split the audio with a Y-Adaptor. Depending which end, match up the male and female connectors. A good idea to keep all the RCA jacks covered to cut down on the audio buzz feedback. In a reverse situation, if you have a Mono TV then you will be missing some sounds if you don't set the game to mono. A pain to configure each game. You could just leave settings to default stereo. 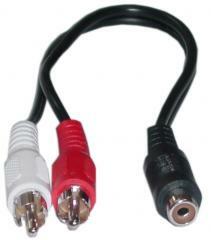 Hookup both the audio cables with the same Y-Adaptor to your mono TV. All Video switch boxes mounted under the coffee table with plumbers metal strap tape. Out of the way and still easy to reach. If I had just one huge switchbox tying in all the inputs I would have to hit BOTH the TV remote input and the switchbox select input everytime I wanted to watch a DVD, Cable TV, CED, Laser Disc, VCR, Component Console, SVideo Console, Composite Console or the Atari RF output. With the multiple switch boxes I simply use the TV Remote input. I only have to select the switchbox if I have a different mood on a particular console that has a different type of output. For example I can play Gamecube Component or N64 SVideo simply by hitting the TV Remote input. The switchboxes are only used if I need to select a different console that utilizes its own specialty output such as SVideo. RF - Don't bother unless you play games with eyes closed. Composite - lot of color bleeding and blur. VGA switch box, handy for CRTs or LCD monitors that have only one input. Instead of a second PC, hookup a Dreamcast. KVM switches are another option, but auto only ones require shutting off the PC. A quick note when using a HDMI switch box. If you have an older HDTV such as mine, there is only a DVI input for video. Separate RCA audio inputs. 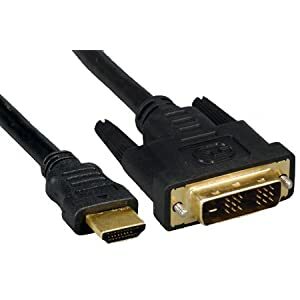 Get a DVI to HDMI cable. I acquired an older non-powered two switch HDMI unit with ⅛ phono stereo jacks from Frys. Adaptor works fine in combination with RCA to ⅛ phono stereo jacks to the HDMI switchbox. A point to consider is the separate audio leads for DVI adaptor needs to be included in the switch box. For clarity of type connections, Pic shows a box that has a separate DVI input. There is also HDMI splitters. Connecting two HD TVs to one HDMI source. Looks like a fixed resolution that both HDTVs can support though. For instance if one HD can only do 720p then that newer 1080p is stuck at 720p thru the splitter. Customer Feedback wrote: I purchased this item to split my PS3 signal into 2 tvs. I forgot my bedroom lcd only would push 1080i so when I was pumping my 1080p signal into the tv it was confused and wouldn't display video. This is my fault not the device. Monoprice was very kind to return the item with no questions asked. Monorpice for life! nate wrote: hey, got the little box today. worked great with my PS3, played a short vid that was on my PSP and played the Shift demo a bit and both TV's looked great. Both are 1080p Sharp aquos. just about the same tv's but for the screen size. I think we have a winner here. Non-Anamorphic downgrades the video capabilities of a DVD. On a 4:3 screen, large black bars are on the top and bottom. Even worse on a widescreen TV you still have black bars on the top and bottom and sometimes the sides. You can zoom in the image with your DVD player or HD controls, but at the cost of losing the resolution. A marketing push to customers of Plasmas, LEDs and LCDs into buying the BluRay version? Not all the film frame is utilized when shooting a wide screen Non-Anamorphic exposure. A loss of image resolution. 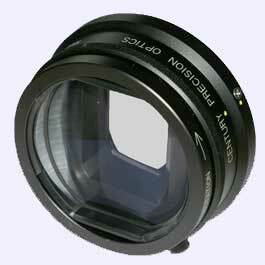 Anamorphic filming uses a special lense in the camera to squeeze the image and utilize all of the film surface. The movie is then played back with a widescreen lens. More video information is in the original film, resulting in a sharper picture. When buying a DVD, watch for various widescreen logos and never buy a Full Screen version of a movie. Pan and Scan will cut off part of the images on the sides. CRTGAMER wrote: Just because a movie is listed as widescreen does not mean Anamorphic. Less video information resulting in larger black bars then an Anamorphic movie. The biggest headache is there is no standard logo identifying if a DVD has the better Anamorphic coding or not. I noticed a problem in the wallpaper and games of the my relative's widescreen computer monitor. A lot of games and pics are 4:3 so they default to showing on the screen at 4:3 with bars on either side. The games can be stretched, but look distorted and jump back to 4:3 after resetting back to regular screen during a reboot. I think with the exception of movies we are still in the transition stage for games and pics. Console games have a widescreen option but most computer related programs, games and digital cameras have not fully adopted the wide screen format. What a pain, this reemphasizes why I'm sticking with 4:3 screens for all my systems. Why would I want to make the family fatter when viewing pics? SO, a 32 inch 4:3 screen is 25.6 inches wide and 19.2 tall. SO, a 43 inch 16:9 screen is 36.6 inches wide and 20.6 inches tall. Pull from Google Images or scan the front label of your Game Cart. To make an end label, Crop and Resize to fit with any photo touchup or label application. You can get special label paper or print on regular paper. Use double sided tape for the bottom and Transparent Glossy (not magic) tape for the top as a laminate. Both tapes are placed oversized on the printed label, then everything is cut to size at once for a clean look before sticking. As far as organizing I just have shelves behind me of Alphabetized CD / DVD cases. For the Game Carts I built custom wood shelves that are cut to size matching the width and height of my N64 carts stored contacts down. Keeps the dust out of the contacts and I don't have to hold eight carts to pull one. There is enough air space above each cart for my finger or a taller Game Shark cart to fit. Five shelves tall. Laminated Wood flooring makes great space saving lightweight thin shelving material. I used a finish nailer for a quick and clean fit. Shelves are held together with ¾" slats. Each shelf layer is also independent of each other, makes for easy swapping around or moves if need be. More shelves can also be easily added as the library grows. Gameboy carts a real pain, A Gamestop or Golfball display case seems the best way. Multiple systems and cheap media player for the big screen. A little different aspect here. An easy way to get multiple operating systems in your PC. An internal removable boot drive bay. IDE the common standard with less bugs for older operating systems. A dedicated boot C drive each for DOS, WIN98, Linux and WINXP systems. An internal D drive can be the shared media and docs drive. Limitation of drive sizes for the older operating systems. The swappable drive route comes in handy for me, I also have a USB external bay, takes the same drive enclosure trays. External can be plugged in for another way to swap files between the different systems. As a bonus, external hard drive bay can be plugged in a USB port of the DVD player. Acts as a 200gb memory stick to view JPGs and MPGs on the HDTV. Keep in mind the basic principal how a battery works. It is a transfer of electrons from cathode plate to anode plate. As the corrosion process on the plates progresses, over time the battery has less internal active surface area of Cathode to Anode. Over a period of time you run into diminishing returns on run time and drain-recharge cycles. There are other considerations in addition to cost of rechargeable batteries. The higher the MAH rating, say a 2700 battery, the longer the run time but less cycles of recharges before battery wears out. A lower 2200 MAH rated battery will have less run time but more drain-recharge cycles can be accomplished. Blade Runner Movie wrote: "The light that burns twice as bright lasts half as long". Capacitors built like a "Surge" battery. A temporary storage cell. So box of alkalines vs tray of rechargebles at 750 recharges before dying? You do save money overall by going rechargeable negated by additional slight cost of the electric bill. But for the longest one time cycle, an alkaline will have the longest run time. I see a lot of suggestions of repairing consoles by changing the capacitors. Usually the last thing that can go bad. Contacts on cables and carts as well as dirty discs and laser eyes should be looked at first. But if you do want to verify a capacitor, you can use an OHM meter. The capacitor will have to be discharged and desoldered from the PCB first. If a capacitor is bad be sure the replacement is the same. Not by appearance but internal surge and holding power ratings. As a courtesy you want to keep the pic smaller then the normal width of the reply screen size. Large pics stretch the text box out, a pain to read. I keep JPGs at 700 wide or less. If you have OSX, use iPhoto. Import then export as JPG and set the width at 700 or less. For PC there is Infraview, a great freeware pic utility. Other option a pic sharing site, a mixed blessing at times. A photo sharing site is a great way to stage your Photo. Crappy when you get the error and can't retrieve your photo. For the PC you can use a URL downloading site. Or just add pwn to the front of the URL: "http://pwnyoutubeyoutube.com/"
You can convert select single pages out of PDF's to JPG using Mac Preview. Just highlight a page and save as a JPG. You can also convert Word Doc files to HTML's using Mac Word by saving as Web Page. OSX Leopard 10.5 and newer. To join two or more PDF files together using Preview – the standard pdf viewer in OS X – simply open a PDF in preview, open the thumbnail view, and then drag a second pdf file ON TOP OF an existing thumbnail. The two documents will merge into one. Then save the new combined file. Read on for step-by-step instructions. To merge the two PDF files you need to drag the new PDF on top of an existing thumbnail. If you drag it into the sidebar but not on top of an existing page the new file will be added as an external link – not merged into the original PDF document. You can do the same with JPGs and save as a PDF file. Use the Combine PDFs program. Simply drag JPGS and then click the Merge PDFs button on the bottom right. You can Screen capture with SHIFT COMMAND 4, then drag mouse over area to be captured. I see lot of classic game rooms showing beautiful shelves full of consoles but they are not hooked up. Whats the point in that? Is that a museum with only latest Gen System running? Don't get me wrong, Game Collections I see from other collectors are impressive from many years of research and I truly respect and admire. But why not take that extra step and mount them all through Power Strips (which can shut power off) and Video Switching Boxes. Cord covers and Zip Ties can easily manage all those cables. I think I am an OCD gamer nut. Have everything from Atari 5200 to N64 to PS2. My systems hooked up thru 3 separate video switch boxes. Don't ask me to trace all those video inputs again! All consoles on side table and on huge coffee table in front of me. 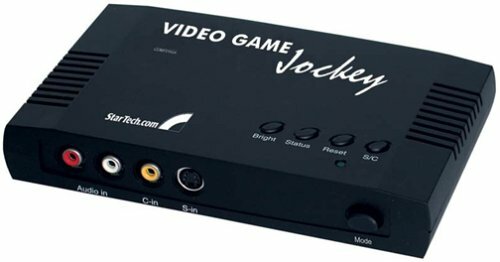 To play Joust, Robotron, Sonic, Tempest X, God of War, Conkers Bad Fur, Spyro, Wario, Black, ICO, Mario Sunshine, House Dead, Pacman VS, Aero Elite or any of the others all I have to do is flip video switch box and PLAY THAT RETRO! A bad move for the consumer, owners of current gens and Steam. Games you download today won't be supported years from now when site goes away and your system crashes. Same feelings about DLC, additional content that should have been in the original disc purchased game in the first place! 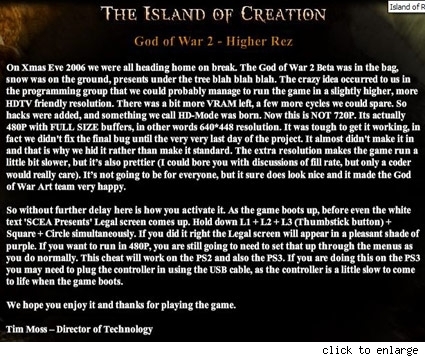 Again years later all those addition features will be lost when PS4, Wii3 and XBox720 comes around. As for backwards compatibility down the road? The old reasons to maintain a customer loyalty owning older games no longer applies. Backwards compatibility will only be for older games that can be resold as a download. Sad thing is DRM downloads are part of culture because of ignorant convenience. Every console from Atari 2600 to NES to Dreamcast to the current Wii - PS3 - 360 all have their own unique great games. SOFTWARE is what makes a great game machine. Find the games you really like then buy the matching console. I an Avid gamer who has seen first hand how the gaming Industry has grown. From the Pong games when they first hit my bowling alley, consoles from Bally Astrocade and Atari 2600 to C64 to VECTREX (Remember that cool Vector Monitor?) Dreamcast all the way to PS3. I love Video games best when I'm playing them. Space Tanks - Exclusive free game made by me, enjoy! Space Wars 1978 to Star Trek 2006 Game Reviews Arcade to Consoles to PCs. Gadget Review PC and Mac computer game. Dr Strangelove One of my favorite movies, a review. Sergio Leone Big Three Westerns My favorite gunslinger movies. Winged Migration A beautiful documentary set to Bavarian music. Game magazines, what is your favorite? Free download of PDFs. A Game Collector's Rant - My four crazed return trips back to Gamestop. Another Game Collectors Rant - Discovering a rare game. Drove over 100 miles - For an obscure game. Game shipped in 85% off GBA games - I went nuts on this. My Buy 2 Get 2 Free Finds - First page of over 50 games discovered. THE GOOD, THE BAD AND THE UGLY - Wall of Rant - Oh drink the Coffee and read it. I love Bookoff! This Japanese owned franchise sells used games in pristine condition, complete with original cases, covers and manuals. All the games and DVD movies are protected by a clear easy to open plastic envelope, the small easy to remove price tag is on the envelope. APF MP1000, Atari 5200 Centipede with Trakball!, Atari 7800, GCE Vectrex own-3-can-you-believe-$20-at-swap-meet!, N64 Yes CONKER BAD FUR!, PS1, Dreamcast, Gameboy Advance, Gamecube with Gameboy Player Wario Ware very cool on big screen, PS2, PSP, PS3 and Wii. Apple II+, Vic-20, Texas Instruments TI-99/4A, Timex Sinclair, C64, SX64 trans-portable gaming computer with 2 inch color CRT computer monitor, C-128D, iMac G3, and Athlon PC, Apple and Sony laptops. VHS, Hi8, RCA CED Player video player with a huh? needle, Pioneer Laserdisc with DRAGONS LAIR Original arcade disc, Several DVD players. The VHS, Laser and Phillips DVD player have the why-did-this-go-away-on-newer-machines beloved Jog Shuttle Dials. Last edited by CRTGAMER on Mon Nov 27, 2017 3:56 pm, edited 496 times in total. Dude, this was an AWESOME read! Seriously interesting stuff you've written here. Pretty good, though you mean Composite on the first one instead of component. Mod_Man_Extreme wrote: Pretty good, though you mean Composite on the first one instead of component. Oops thanks for catching that, re-edited Gamecube video comparison now shows Composite. Great post man! Just another confirmation if I ever see a second hand HD Sony Wega CRT for sale. 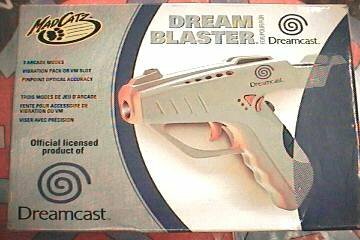 Has anyone have any luck with Dreamcast VGA box - VGA transcoder to Component - Regular Dreamcast Lightgun - HD CRT? 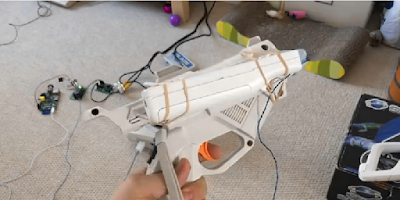 The regular Dreamcast light gun is built for a 15KHz signal (standard PAL/NTSC signals). The VGA box generates a 31KHz signal, which is not compatible with the SEGA made lightgun. And AFAIK, nobody else has made a CRT-tracing style lightgun for Dreamcast that can handle 31KHz either. So no, you won't be playing lightgun games on CRT HD TVs nor CRT (S)VGA monitors with the Dreamcast VGA box. 15KHz (low def) CRT TVs and monitors only. For the record, I've also hacked Dreamcasts, PS1s and PS2s into 15KHz arcade RGB monitors via RGB/SCART outputs, and they've worked fine with CRT-tracing light guns. What you wrote does make a lot of sense. Have you tried the dreamcast lightgun yourself on a VGA CRT? I keep hearing mixed information from different sites if it works or not. I do know the VGA box grounds a couple pins internally telling dreamcast output to 640x480 mode. Also CRT VGA can be set at different refresh rates. Maybe thats the key to make the lightgun work on VGA CRT moniter? "The Internet is a great resource. Treat it as an Information Highway of an educated guess. Don't trust your Heart operation to it." Last edited by CRTGAMER on Mon Nov 27, 2017 3:46 pm, edited 1 time in total. Oh, I almost forgot to mention, the Guncon 2 actually has a 100Hz mode. The Internet wrote: For 100Hz TV's, when on the Calibration screen. Point the GUNCON2 away from the screen. 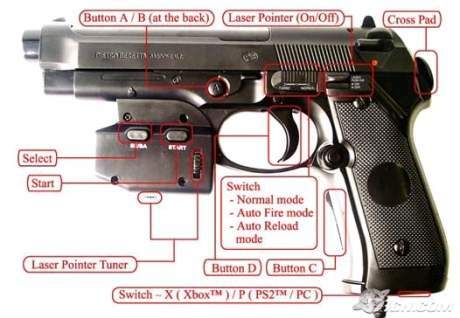 Hold trigger and press the SELECT button (it's on the Left hand side of the gun, nearest the muzzle). This will put the calibration into 100hz mode and a little 100Hz message will appear on-screen to confirm this. It's then possible to calibrate as normal. I've done this with my Sony KX32FQ70U 100hz digital scan TV and it works perfectly! Really great hidden info about Gun Con 2! I added your Progressive scan mode mode info above. Hard to tell from pic but connections look like stereo audio out and 1 composite out at side. Cable end looks to have AV coming from Playstation. The bottom looks like it will take another Playstion cable out for composite, S-Video and Component. Where would the Guncon 2 plug into this dongle? Anyone find out anything on Dreamcast Lightgun with VGA to Component Transcoder? Last edited by CRTGAMER on Thu Jan 21, 2010 7:33 pm, edited 3 times in total.